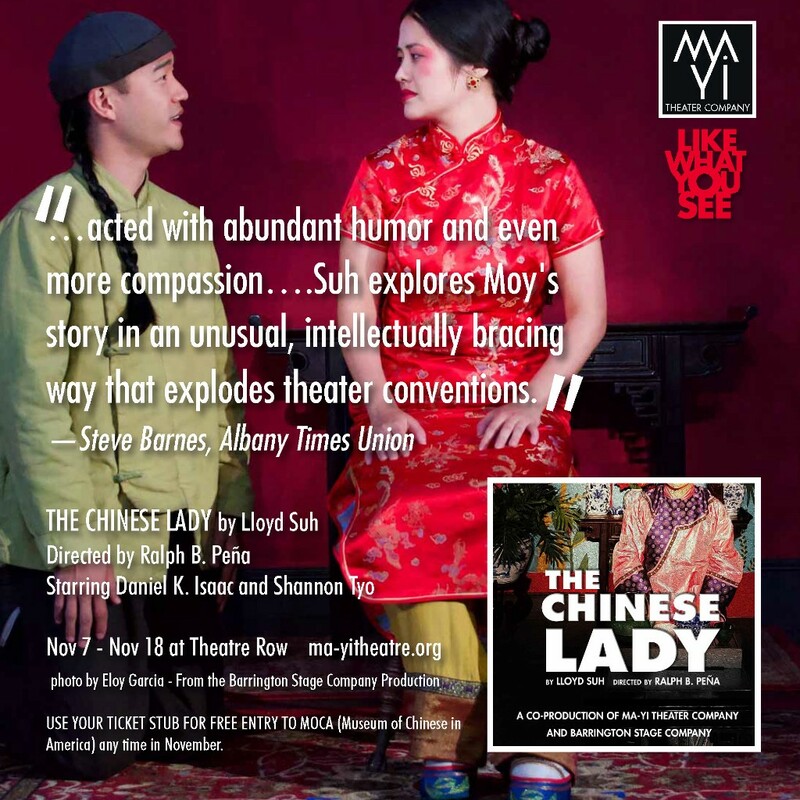 Inspired by the true story of the first Chinese female to step foot in America, THE CHINESE LADY is a tale of dark poetic whimsy and a unique portrait of the United States as seen through the eyes of a young Chinese woman. 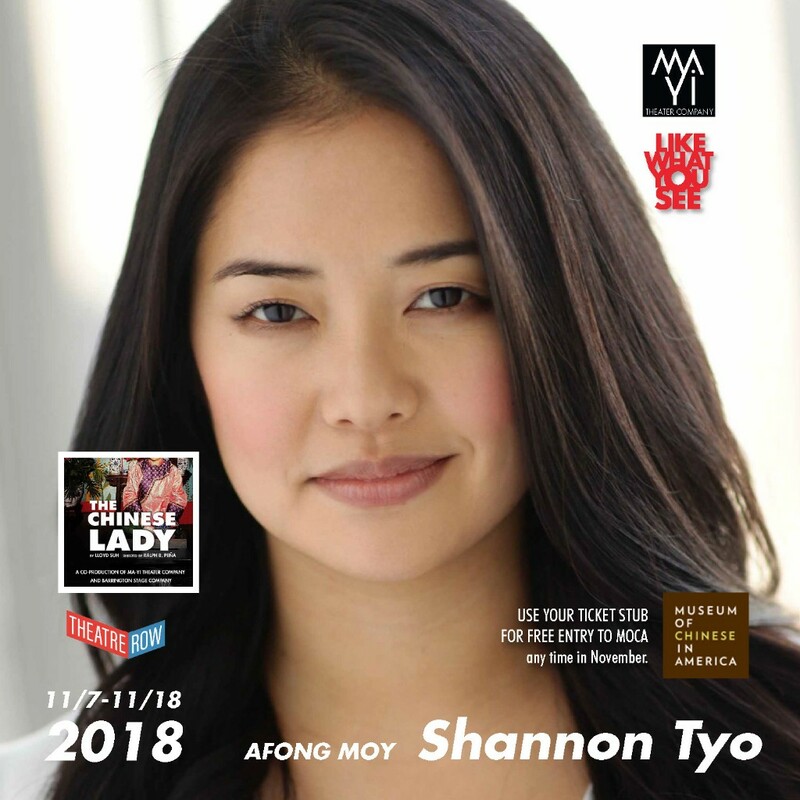 In 1834, Afong Moy is brought from China to America and put on display as THE CHINESE LADY for a paying public hungry for the exotic mysteries of the East. But who is looking at whom? Daniel’s Off Broadway Credits include, The Gentleman Caller (Abingdon), Sagittarius Ponderosa (NAATCO), Underland (59E59), Anna Nicole the Opera (BAM). Daniel can be seen in current episodes of Showtime’s “Billions”. 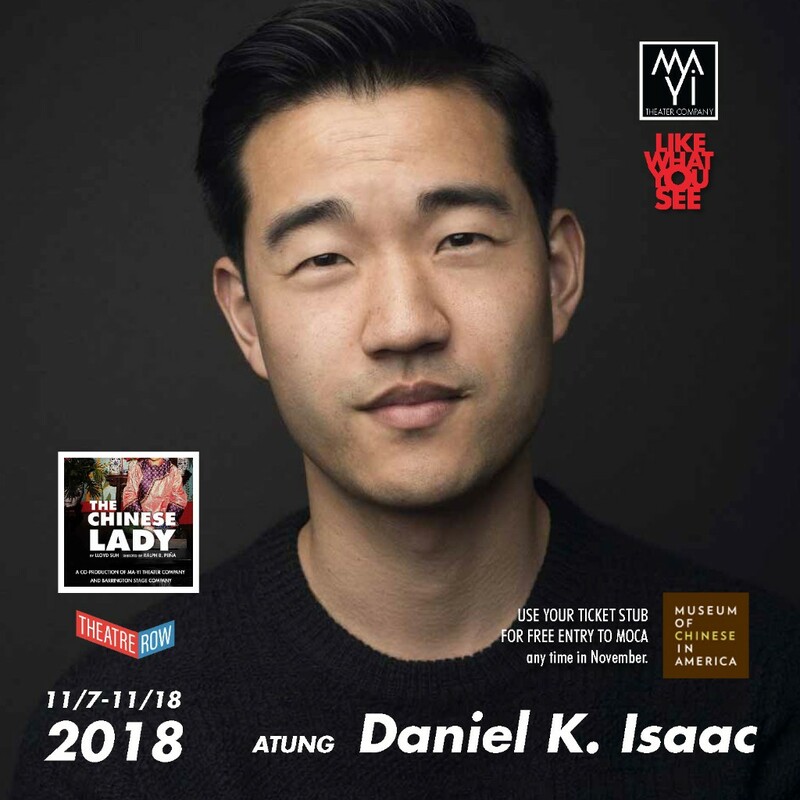 Daniel began writing several years ago in order to share conversations he had with his ultra-conservative, uber-Christian, Korean immigrant, single mother: According To My Mother. 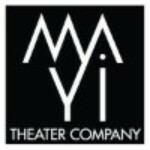 Learn more about America’s first female Chinese immigrant, Afong Moy, and her interpreter. 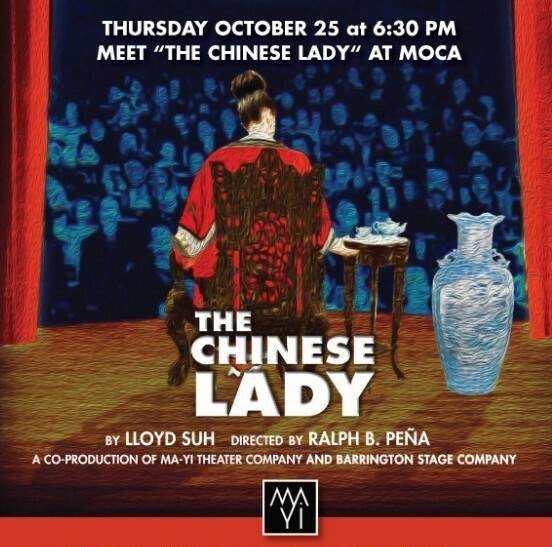 The Museum of Chinese in America (MOCA) and Ma-Yi Theater Company will present an excerpt from the play, THE CHINESE LADY, which is performing on Theatre Row from November 7 through November 18, 2017. After the reading, there will be a post talk-back discussion with the writer and creatives. $10 ADMISSION. MOCA MEMBERS FREE. 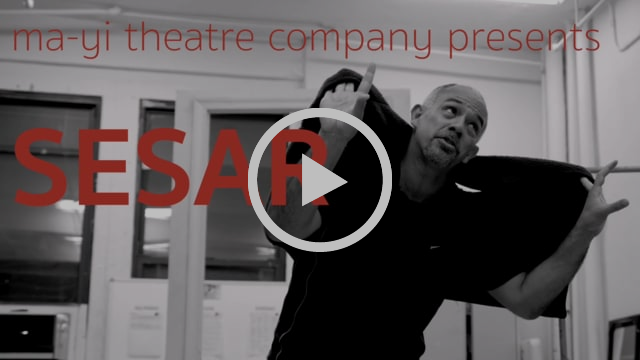 GET A QUICK LOOK AT “SESAR” WITH DIRECTOR RICHARD FELDMAN AND PLAYWRIGHT / PERFORMER ORLANDO PABOTOY. 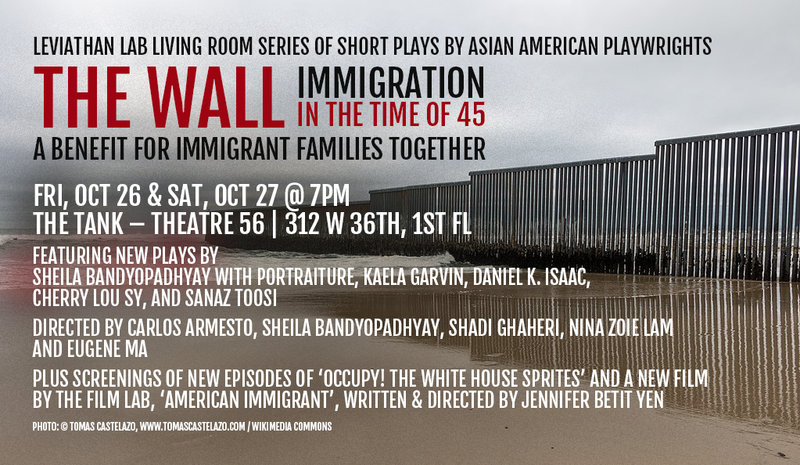 In 2016, Leviathan originally explored the immigration crisis in our Living Room: Immigrant series. In 2018, the crisis has continued to escalate worldwide. Here in the U.S., between 45’s abhorrent zero-tolerance immigration policies that have led to the separation of families and the imprisonment of immigrant children in internment camps; and his racist dog whistles that denigrate black and brown people, there is more to explore and bring to light than ever.All bar proceeds from the event will go toward supporting Immigrant Families Together, a network of Americans committed to rapid response unification of families separated by the ‘zero tolerance’ policy.